Application: 3D glasses, polarized sunglasses, polarized fishing glasses, polarizing microscope, polarizing camera filter, photography, light control windows, polariscope, rotating filter with using two polarizers, photoelastic stress analysis, glare reduction, motion illusion. I ordered a really small quantity of just two sheets which arrived in time without any problems. They were relatively well packed and worked as expected. This site has the best price. Perfect for a hobby project. Thanks. Good product as a demonstration for my students. Will order again. 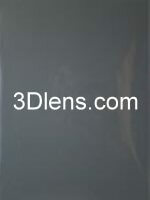 Great quality polarizer item, easy and fast service with this company. I have received the polarizer today : very good product and fast delivery. I'm very satisfied. A very good product and the service was superb. Excellent packaging and a amazing shop ! and the quality is high ! The shipping was quick and done with care. The polarizer product is conform. Thank you. Excellent seller. Product arrive very quickly and is exactly as described. Would highly recommend. I am ordering the product again. I hope the product will not be discontinued for small-scale user like me. I bought some polarizers again because I was satisfied with the first piece. Good service, fast shipping. Recommended! I like the polarizer filter. The product was delivered within 4 days!! Thank you very much.